Bastille rescheduled date confirmed. 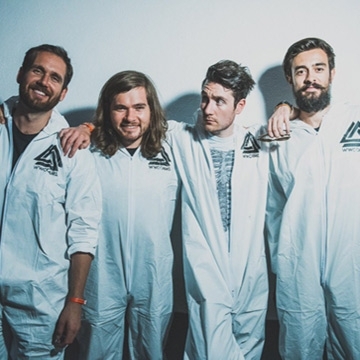 Following the postponement of Bastille’s sold out Olympia Theatre concert due to adverse weather conditions, the band have confirmed the show will now take place 12th March 2019. The four-piece spent the summer playing UK and international festivals including headline slots at Wilderness and MTV’s Ocean City Sounds. They also teamed up with Marshmello to release one of the year’s biggest international hits, the poignant yet euphoric , Happier the band’s fourth UK top 5 single, a U.S top 10 and global top 3 scoring over 101 million streams in a matter of weeks. The past half-decade has certainly been a whirlwind for the four-piece, who comprise of frontman and lyricist, Dan Smith, keyboardist Kyle Simmons, bassist and guitarist Will Farquarson, and drummer Chris Wood. The band have played over 500 shows across six continents, including the critically acclaimed ReOrchestrated tour, and have amassed 15 million single sales and 6 million album sales globally. Both Bad Blood and its follow-up, ‘Wild World’, reached No.1 in the UK and the top 10 in the US, and their music has been streamed a staggering 3.5 billion times. They’ve not gone without awards recognition either: after winning British Breakthrough Act at the BRITs, the band have earned Grammy, AMA and MTV Europe Awards nominations.